Best Star Wars Comics Of All Time! You are here: Home / Comics Guides / Best of Lists / The Best Star Wars Comics Of All Time! There are Star Wars comics across all corners of the galaxy, covering the birth of the force on through glimpses into the future of the Jedi. To help navigate the best of these Star Wars comics and graphic novels, I’ve compiled a list of the absolute best reads and starting places. There’s a whole lot more where this came from, but these reads will help you get started, young Padawan. As always, if you crave more, you can check out Comic Book Herald’s complete Star Wars reading order guide! The Darth Vader comic so good it inspired an entire Comic Book Herald Vader reading order! The series is currently 138th on my favorite comics of all time list. Written by Kieron Gillen with art throughout by Salvador Larocca, Darth Vader Marvel Star Wars seriesis approximately 25 issues of my favorite new . A great representation of what Lord Vader would have been up to in the aftermath of A New Hope, and introduces the excellent new Doctor Aphra to the Star Wars canonical universe. The Star Wars: Dark Empire trilogy is easily the most appealing starting place for new Star Wars comics readers looking to get a feel for the Dark Horse expanded universe. The events of Dark Empire take place six years after Return of the Jedi, picking up the pieces of a collapsing empire and a surging alliance led by favorites like Luke and Leia. 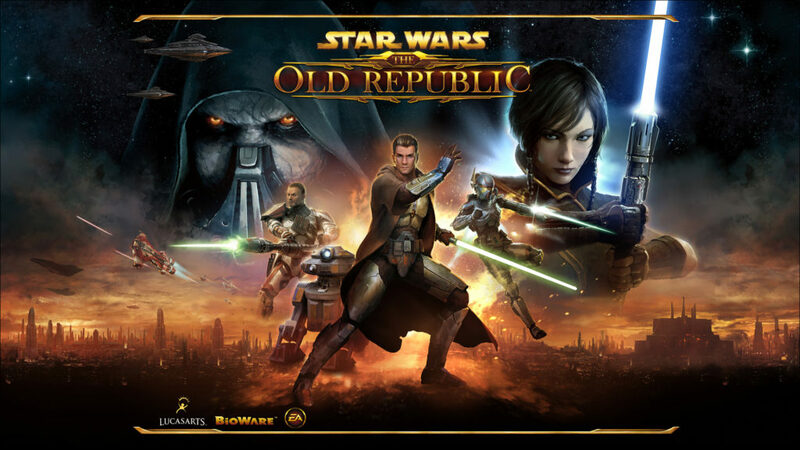 While it would be easy to dismiss Star Wars: Knights of the Old Republic as a mere video game tie-in, that would severely underselling the quality of Jon Jackson Miller and Dustin Weaver’s KOTOR. The look at the old republic, thousands of years prior to “The Battle of Yavin” is wonderfully crafted, and a delight for fans who enjoyed this era of Jedi and resurgent Sith prophecies in the video games. Speaking of Star Wars: Legacy the John Ostrander and Jan Duursema joint is every bit as good as Knights of the Old Republic, following Cade Skywalker over 100 years after Return of the Jedi. 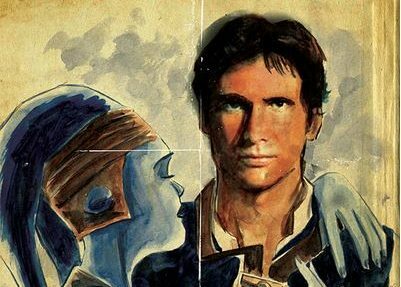 The 50 issue series builds out the entire Star Wars mythos in tremendous detail, and could still serve as a glorious template for the likes of Star Wars Episode XV. It’s worth noting that Legacy plays off the expanded Star Wars Legends mythos, meaning you may want to do some Wikipedia research on the Yuuzhan Vong. 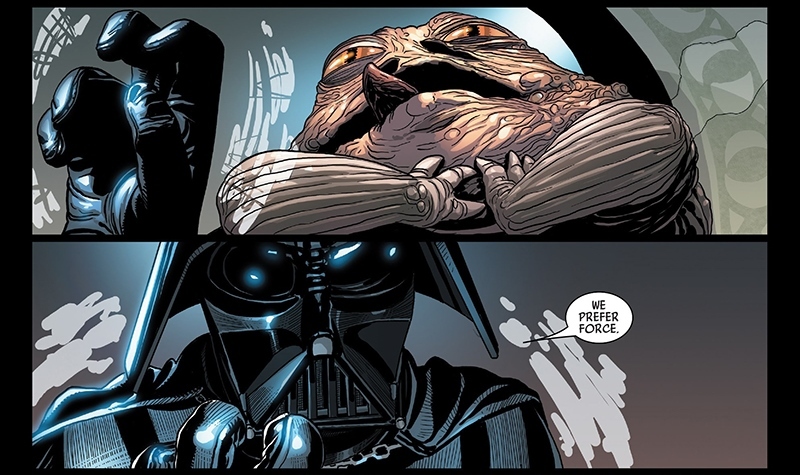 Just know that I had minimal awareness of these Legends events prior to reading Legacy and it’s still one of my absolute favorite Star Wars comics. Coming in at 157th on my favorite comics of all time, the Crimson Empire saga is a trilogy by Mike Richardson and Randy Stradley. 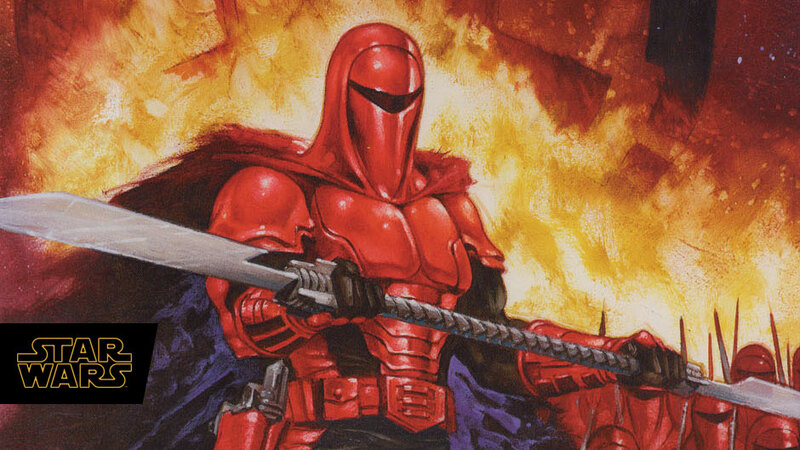 Released originally as three six issue miniseries, Crimson Empire details the exploits of Kir Kanos, member of Emperor Palpatine’s royal guard. Charles Soule and Alex Maleev’s Lando is easily one of the best canonical Marvel Star Wars series, and at a clean five issues, it’s very easy to knock out on a service like Marvel Unlimited. 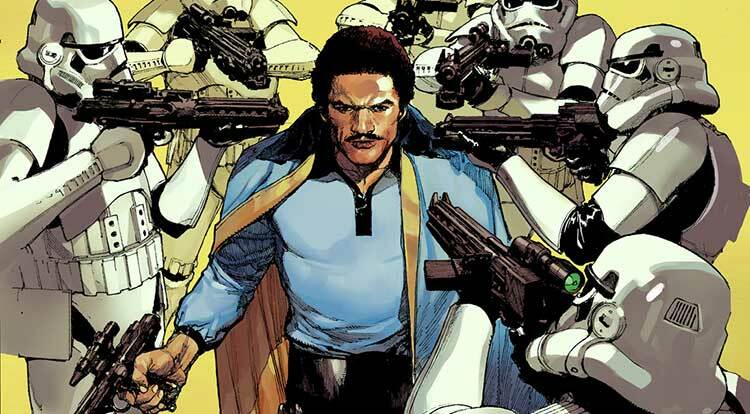 While the remainder of the Marvel Star Wars comics are caught in a slight holding pattern between A New Hope and Empire Strikes Back, exploring the back story of Lando is an effective and essential approach. After all, the movies don’t actually tell us all that much about Billy Dee William’s roguish crusader. Star Wars Tales is a blast precisely because it spans the entire length of the expanded Star Wars universe. Stories range from the familiar to the most obscure corners of the mythos, and highlights include everything from Han Solo trapped and hunted by Boba Fett to Skippy the Jedi Droid (no, seriously). Marvel’s opening salvo into their relaunched comic book universe is a solid, steady introduction to how the publisher will handle the adventures between A New Hope and Empire Strikes Back. 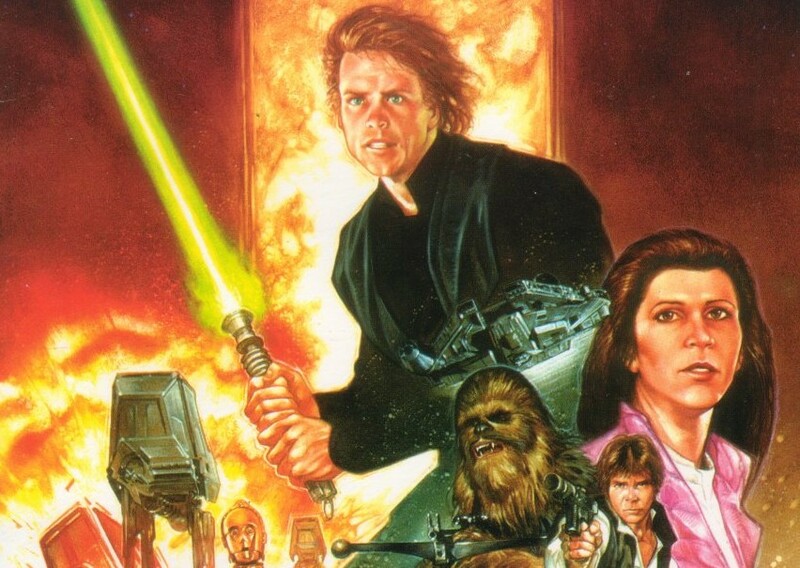 There’s no beating around the bush with lesser known expanded universe players, instead focusing on the core of Luke Skywalker, Han Solo, and Princess Leia, with everyone from Darth Vader to Boba Fett to Jabba the Hutt showing up in the first arc. Star Wars isn’t my favorite new canonical Marvel comic (that honor goes to Darth Vader), but it offers a clear pilot through the newly crafted legacy. Rebel Heist is one of the last Star Wars releases from Dark Horse prior to Disney’s purchase of the license, and given the creative team of Matt Kindt, Marco Castiello, and Adam Hughes, it’s well worth a read. The short four issue miniseries shines the spotlight on a different star each issue, with Princess Leia kicking off the proceedings in all her super spy glory. Alan Moore is the best comic book writer of all time (come at me with your Grant Morrisons or your Neil Gaimans, but you best not miss). Did you know he wrote a handful of Star Wars comics for Marvel UK in the late 70’s and early 80’s? It’s an oft-overlooked part of Moore’s bibliography, and one that is sneakily included in Marvel Unlimited. What do you think? 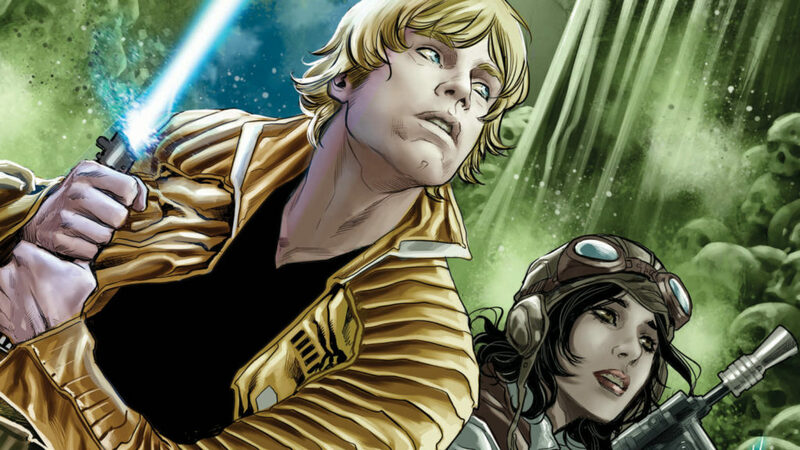 What other Star Wars comics need to be included? Do what feels right to you in the comments. 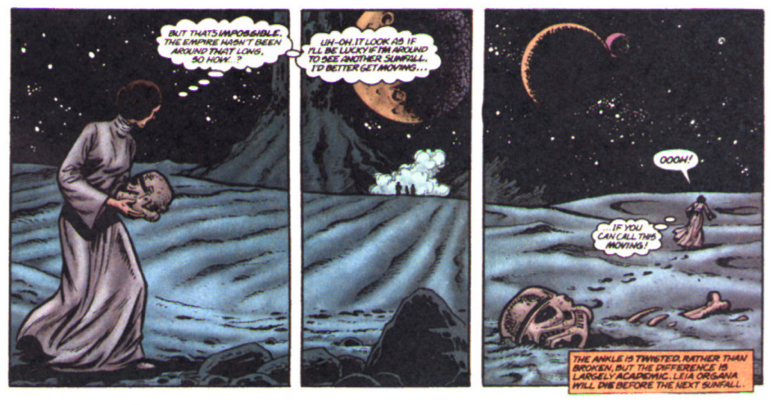 I really like the “tales of the Jedi” Veitch stuff with ulic qel droma and all that craziness 4000 years earlier. It’s worth reading just as cool sci fi stuff. When it comes to the expanded universe stuff, I normally like what doesn’t focus around Han, Leia and Luke. I still think that dark empire had some of my absolute favorite artwork, and I really like Tom veitch (as stated with tales) but it isn’t really good enough somehow. I also like “heir to the empire” as a book, I’ve never read the comic. I will say that the Timothy zahn stuff also suffers when dealing with Han, Luke, Leia, and chewie. In “heir” the Cherie stuff is just “visualize ewoks….. but bigger and more intense”. The whole time I just want to hear about thrawn and Mara jade or that type of stuff. Idk why I feel that way, I am definitely an advocate of the original movie trilogy over everything else. And I loved the Gillen Vader series, dr aphra and even the darth maul stuff. I tried to read Dark Empire last year. I couldn’t get through it. I love the art, but the dialogue and the plot wasn’t enjoyable. Anything that has Qui-Gon and Obi-Wan working together. Yeah I get that. I do think the novelization works better. I need to check out that Star Wars Adventures story! The Purge was an 11th hour cut for me in an effort to marvel at, well, Marvel’s sneaky inclusion of Alan Moore written Star Wars comics. The Purge may well be better, but it sure isn’t Darth Vader playing chess!